About 160 public prosecutors seconded from security services to the judiciary will be cut loose, while crack teams are being assembled to fish out corrupt judicial officers. All remaining prosecutors will be rotated and have their remuneration revised to help avert graft. Further, a mechanism is being crafted to give recourse to any parties unhappy with the outcome of court processes, in addition to giving the public access to take allegations of corruption by judicial officers directly to the Justice, Legal and Parliamentary Affairs Ministry. This is contained in the ministry’s 100-day plan which has efficiency and anti-corruption as the foremost tools to steer economic turnaround. Justice, Legal and Parliamentary Affairs Minister Ziyambi Ziyambi told The Sunday Mail, “We are the Ministry of Justice and our office’s mandate is to serve justice. ‘‘My door is open to people who have complaints on what may have happened in the past; whether it is a prosecutor, a magistrate or judge who may have been involved in corruption. 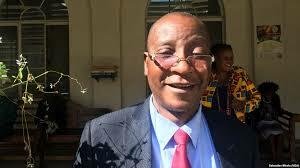 Minister Ziyambi said Government was reviewing prosecutors’ remuneration as part of measures to deter corruption. “In terms of the National Prosecuting Authority, definitely heads will roll once we set up systems to nab those involved in corruption. The most important thing is to set up systems. ‘‘Those systems we are targeting will help us get culprits. “A process where prosecutors are rotated periodically has also started and that will ensure there is no predictability in terms of who will prosecute in certain cases.” An official at the NPA told The Sunday Mail there were concerns that seconded prosecutors’ lack of requisite expertise could be resulting in unfair prosecutions, convictions and acquittals. “There is consensus that we need to do away with the seconded prosecutors because they have no comprehensive understanding of the law. They are only trained for six months and the training focuses on analysing evidence. “However, they do not have a holistic understanding of the law and because of this, they may disregard significant matters such as human rights or issues outside of their training.